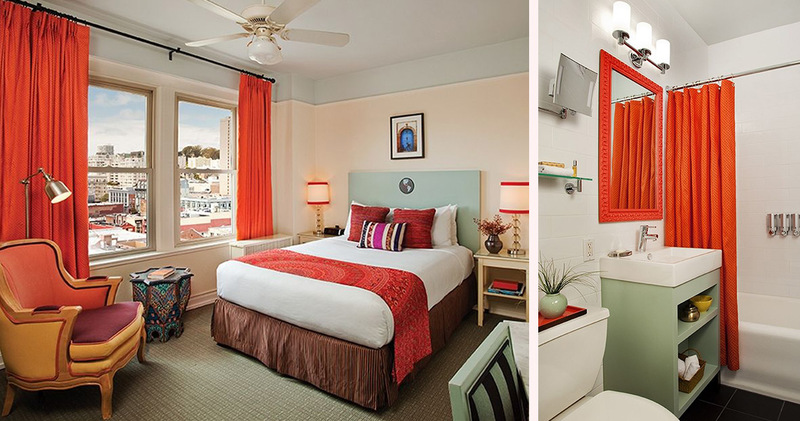 Hotel Carlton is located close to the attractions, bars and restaurants of Union Square and Polk Street. 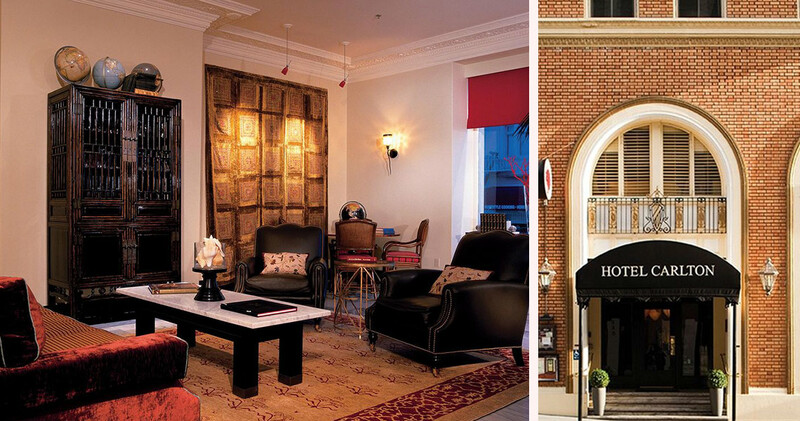 This boutique hotel has an inviting, comfortable and relaxed vibe, with many fascinating artifacts on display. The sitting area in the lobby features a carved, black fireplace, comfortable seating and ornate furniture. 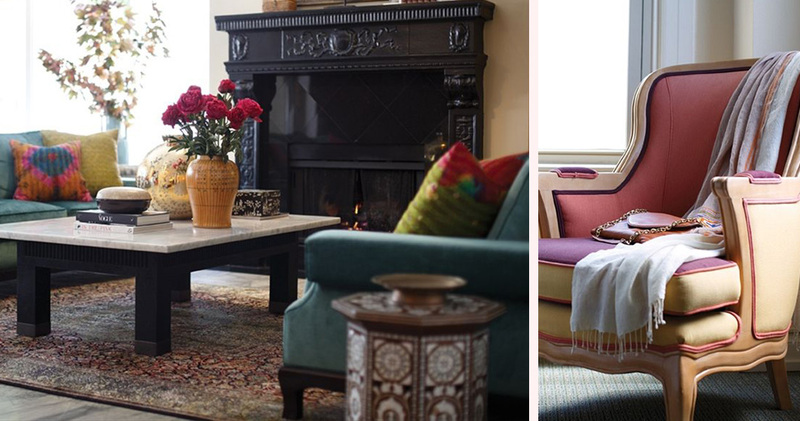 Pops of bright colors mixed with a hint of Asian flair create a very unusual style. The wine reception each evening is a great place to enjoy live music and meet other guests. 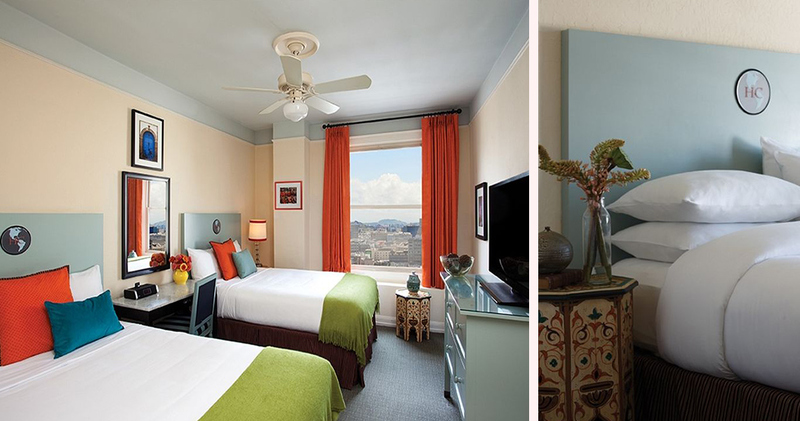 Hotel Carlton San Francisco is a LEED certified, carbon-neutral hotel. 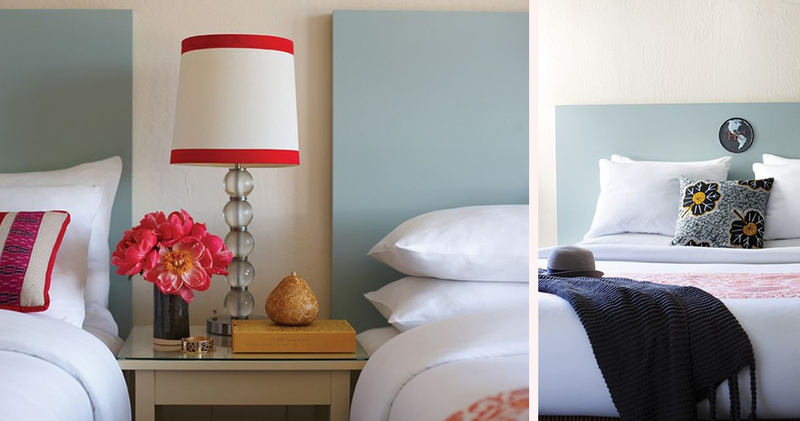 The guestrooms at Hotel Carlton feature soothing color palettes with vivid accents. 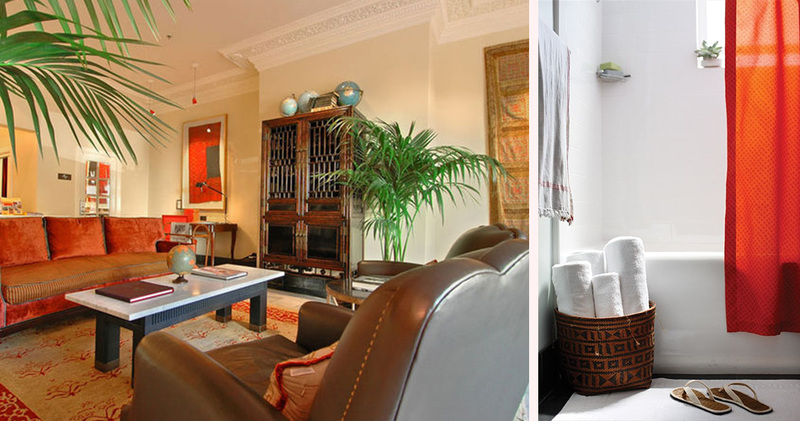 There are many interesting details in the rooms, including hand-painted Moroccan tables, marble-topped desks and photographs of 15th-century Nepalese temples. 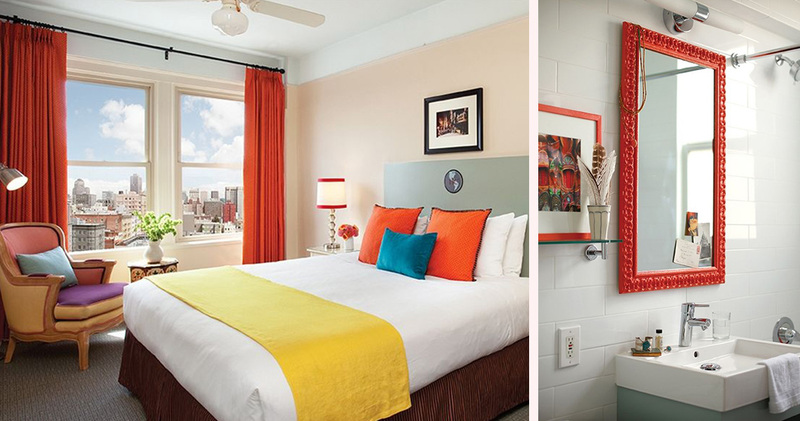 The beds feature luxury linens and plush Serta mattresses, and the large windows provide panoramic city views. A Keurig coffee machine and Tully’s local coffee are available in each room. The bathrooms are bright and well-designed, with orange accents and attractive artwork. 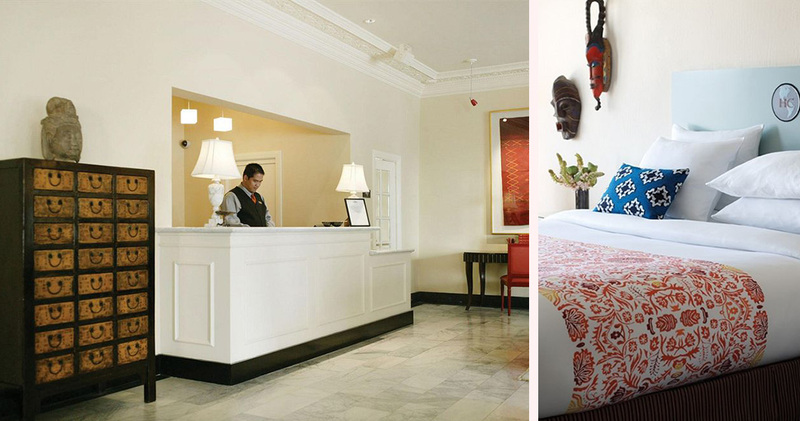 Hotel Carlton is home to Saha. This restaurant is intimate and inviting, featuring bright colors and an eclectic collection of lamps and mirrors. 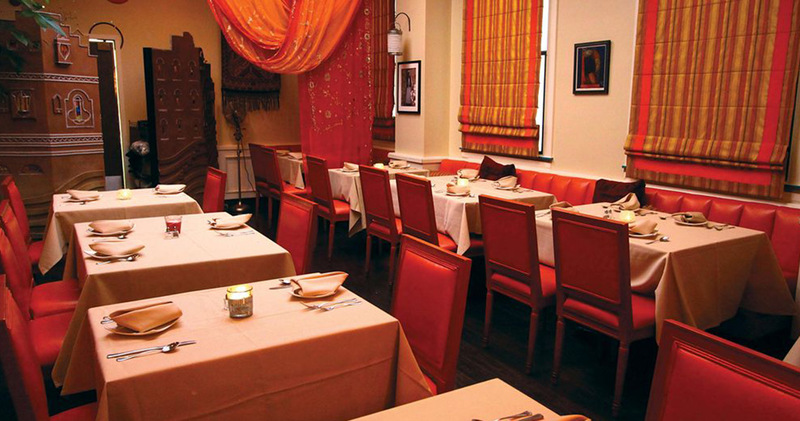 It serves a blend of Arabic, Californian and Yemeni cuisine along with a selection of wines.